Does a jail’s policy of strip-searching all prisoners–even if there is no suspicion the prisoner poses a threat to others-violate an individual’s Fourth Amendment right to be free from unreasonable search and seizure? 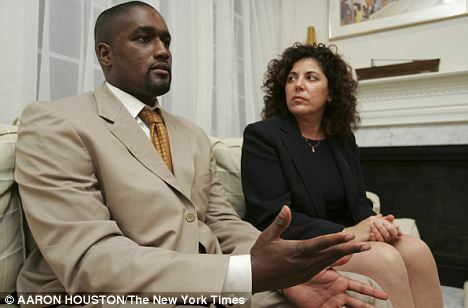 On March 3, 2005, Albert Florence was driving with his family through Burlington County, New Jersey when he was pulled over by a New Jersey State Trooper. The Trooper notified Mr. Florence that he was being stopped due to an outstanding warrant for his arrest that had been issued because he allegedly failed to pay a routine fine. Mr. Florence presented documents showing that he had already paid the fine, but, nonetheless, the officer arrested him, placed him in a police car, and drove him to the local jail. When Mr. Florence arrived at the jail, he was subject to a strip search and visual body-cavity search conducted on all inmates. Following the search, he was asked to shower in the presence of a correctional officer. Six days later, he was transported to a local correctional facility where he was subjected to a strip search and visual body-cavity search simultaneously with four other inmates. As Mr. Florence would later discover, the strip search he experienced was nothing out of the ordinary; the correctional facility had a blanket policy of subjecting all incoming male residents to these searches. The following day, he was released from custody and all charges against him were dismissed. Florence brought suit against the jail, managed by the Board of Chosen Freeholders of Burlington County, NJ, alleging, among other things, that the strip searches violated his rights under the Fourth Amendment to the United States Constitution. The Fourth Amendment protects an individual’s right to be free from “unreasonable searches or seizures” and Florence alleges that a blanket policy violates that clause. The District Court agreed with Florence and granted his Motion for Summary Judgement without a trial. Burlington County, the losing party, appealed this decision to the Court of Appeals. The U.S. Court of Appeals for the Third Circuit reversed the District Court, holding that the strip search policy was a reasonable way to balance the competing interests of the prison and the individual. Citing Bell v. Wolfish, the Court of Appeals balanced an individual’s right to be free from unreasonable searches against the dangerous realities of prison life. Ultimately, the realities of prison life prevailed, and the court recognized that a blanket policy was simply the best way for Burlington County prisons to prevent dangerous weapons and diseases from entering the prisons and threatening inmates. The cramped conditions inside the prison made detection of weapons difficult and intake screening was often the best precautionary measure available. The court specifically dismissed the need for any individualized suspicion, concluding instead that a complex analysis of each inmate can be just as undesirable due to the likelihood for discrimination and inconsistent application. Florence appealed to the Supreme Court of the United States in an petition for writ of certiorari. In that petition, Florence alleged that the Courts of Appeals are split over when blanket policies are constitutional. The Supreme Court granted that petition on April 4, 2011. The Court will hear arguments on Wednesday, October 12th. In Hiibel, the Supreme Court upheld a state law that allowed a police officer to ask an individual to identify himself or herself if there were suspicious circumstances that lead the police officer to believe that the individual may have committed a crime. In other words, if a police officer is suspicious that a person committed a crime, the person is required to identify himself or herself. Although the police typically cannot question an individual arbitrarily, the presence of suspicious circumstances justified the minor intrusion. In Redding, the Supreme Court held that it was unconstitutional for school officials to strip search Savana Redding, a 13-year old student who was suspected of hiding, at worst, prescription-strength ibuprofen. A school officer asked the middle school student to partially remove her undergarments after receiving an uncorroborated tip from another student. In Fisher, the Supreme Court held that police officers had probable cause to search a home after seeing blood on the hood of a car and newly broken window on the building. The court noted that although police officers typically cannot enter a home without a warrant, they were not required to ignore even the most obvious imminent violence. In Brown v. Plata, the Supreme Court upheld a court order requiring that California release nearly 30,000 inmates within two years due to dangerous overcrowding in its prisons. The Court noted that, although a massive release may increase the number of criminals who harm society, but it was the only way to meet the constitutional requirements of safety in California prisons. The Court considered the inherently dangerous and sometimes unhealthy nature of prison life, but held that prisoners still retain significant rights under the Constitution. In Powell, sitting in a 12-member en banc panel, the 11th Circuit Court of Appeals held that a blanket strip search policy nearly identical to the one in Florence was constitutional. The Court of Appeals relied heavily upon the Supreme Court’s decision in Bell to find that the search in question was no more intrusive or unreasonable in the context than the one that was upheld twenty-nine years earlier. The court also noted that a reasonable individualized suspicion was not required if a prison could show that there was a legitimate need for a blanket policy. NC The Justice voted that the law (or verdict) was unconstitutional. Albert Florence argues that the prison’s blanket strip search policy violates his Fourth Amendment rights. He begins his brief by correctly conceding that prisons have tremendous leeway to impose restrictions on inmates that would be almost certainly unconstitutional in any other setting. However, security concerns are not a complete shield from liability, he argues, and prisons must have at least a ‘reasonable suspicion’ before strip searching an individual. That suspicion can arise from, among other things, an inmate’s behavior, prior history of arrest, or any circumstances surrounding the arrest. In the present case, there were no factors that would lead prison officials to believe that Florence was a threat to the security of the prison. He was arrested for failure to pay a fine, he cooperated with officers, and he had not been convicted of a violent crime in the past. As such, Florence argues that the prison’s policy of strip searching him and similarly situated individuals is unconstitutional. The county argues that a blanket policy was the only way to ensure prison safety. Strip searches are an important way for prisons to fight many of the most serious problems facing correctional facilities; officials can search for gang signs, concealed weapons, contraband, and infectious diseases in the course of a single strip search. Individualized suspicions are often unpredictable and difficult to apply in busy prisons around the country. The county also emphasizes that the Supreme Court upheld a blanket strip search over thirty years ago in Bell and that the one in question here is nearly identical. Recent cases supporting this view may also work in the county’s favor. In the past three years, two Courts of Appeals, both sitting in expanded, en banc panels, have given substantial deference to prison administrators when those officials make a decision in the name of prison safety. Pretend you are the Justices of the Supreme Court. Vote as a class how this case should be decided, and write an opinion discussing how this case should be resolved. If your classmates do not all agree, write concurring and dissenting opinions to explore all of your different understandings of the case. Each opinion should be at least 250 words, and reference the text of the Fourth Amendment, at least three of the cases listed in the Relevant Precedents section. Pretend that you are a lawyer and you represent either a prisoner rights group, or an organization to promote safety in prison. Write a 200 word Amicus (latin for Friend of the Court) Brief, arguing why the Court should consider the interests of your client. Be sure to include citations to the cases, and make a strong policy argument why your side should win. We are often asked to give up our freedom in the name of security. For example, when we ride on an airplane, we have to go through a sometimes-frustrating security procedure to ensure that we are protected from serious security threats. How should current events effect this difficult balance? Have there been any recent events that tipped the scale in favor of security or freedom? Write a blog post of at least 150 words exploring this issue. Prison officials often argue that strip searches (and especially group strip searches) are necessary because they simply don’t have the staff or the training to perform more sophisticated, less-intrusive searches. Should the costs associated with more sophisticated screening matter to the constitutionality of strip searches? In other words, should strip searches be allowed simply because other searches too difficult or too costly? Write a blog post of at least 150 words exploring this issue. The prison officials who conduct strip searches and visual body cavity searches typically aren’t trained to identify many of the things that prisons seek to detect with strip searches. Medical professionals, on the other hand, can detect more nuanced signs of illness and could extract internal objects in a more medically appropriate way. Should it matter whether a doctor performs the strip searches or a prison guard? Should there be other restrictions on the type of person who can administer the searches? Write a blog post of at least 150 words exploring this issue. Mr. Florence was arrested for a minor crime–the failure to pay a fine. Ultimately, it turned out he did pay the fine. Mr. Florence had no criminal background, and had not shown that he posed any threat or risk of violence to society. Should prisoners who have not shown that they can harm others be held to the same standard as dangerous people, who can harm others? Do you think that students without any criminal backgrounds should be treated the same way as dangerous criminals who have been found guilty of crimes. Write a blog post of at least 150 words exploring this issue.